The concept of the little old hot dog has come a hell of a long way over the last few years. You shouldn’t be thinking of greasy, poor quality frankfurters in cheap, doughy buns with a few stringy onions thrown on top. This is 2017 and we’re over the wurst! 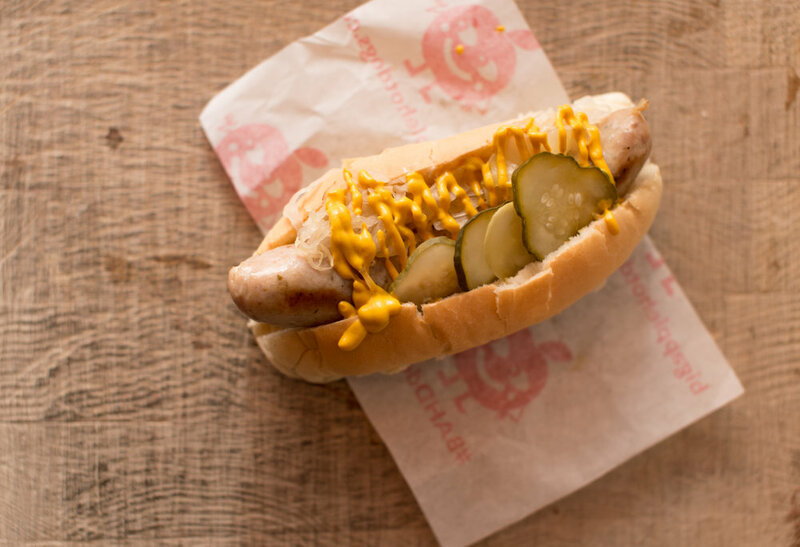 Hot dogs are at the pinnacle of all that’s delicious and decadent about the London street food scene; now a dish to be eaten with… relish, rather than guilt. As much as I love them, I have to admit that I have been pleasantly stunned by just how excited people get over my very own Big Apple Hot Dogs. I have catered for Tom Cruise, Lily Allen and supplied Heston Blumenthal - all because of our ‘sausages that make you smile’! There are other incredible people doing a great job with hot dogs across London if you’re looking for your sausage fix. 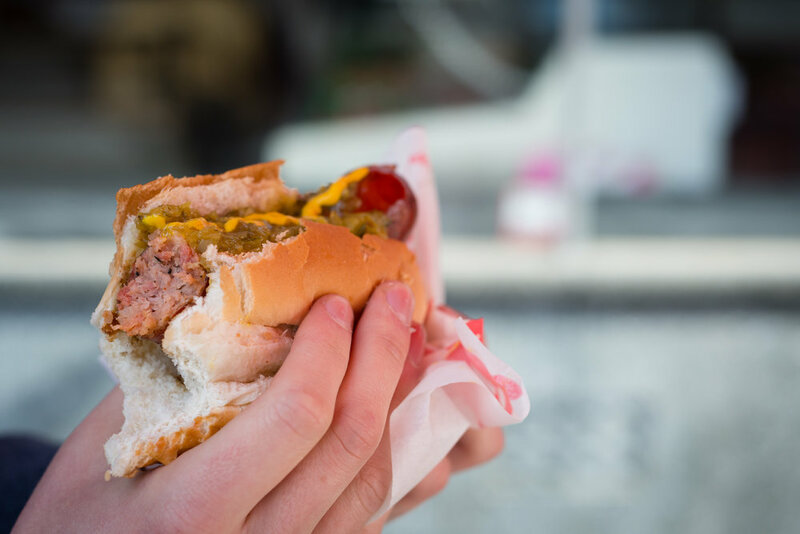 Dogs are the perfect grab and go food, but they’re wonderful to cook up at home whether that be for a BBQ with friends or just as a meal for yourself. If you want to get the most out of your hot dogs, you’ll want to smoke them over real wood chips or sawdust and make sure they’re not dipped in liquid smoke. The pedigree of the bun makes an enormous difference. Order fresh white finger rolls from your local bakery, ideally. Even low quality, slightly old buns can be massively improved by steaming, or you can butter the insides then toast by pressing them down on a hot frying pan. Getting this right is key. The goal is to retain all the succulence, whilst achieving a crispiness to the natural casing so that when you bite into it there is a snap, then a flood of intense, meaty joy. The trick is to heat them through gently (to no more than 65 degrees C) in a skillet with a dash of oil, or grill on medium heat for 3-5 minutes on each side. A high level of tumescence (in the sausages) indicates they are ready! Some purists insist on eating our dogs with no condiments at all. Others insist that anything apart from mustard is sacrilege. We at BAHD are a broad church though, and know a lot of fun can be had loading the dogs with anything at hand that tickles your fancy. For example you could wrap the dogs in streaky bacon before cooking, or top with leftover chilli and add diced onions.